Dr. Lynn B. Elfe, academic services associate director at Long Island Education Opportunity Center (LIEOC), has been given an Excellence in Education Award by the Town of Babylon. She will be honored at the 31st Annual Black History Month event at Amityville Memorial High School later this month. Dr. Elfe began her career teaching gifted 6th graders, and then moved on to work with special needs students. 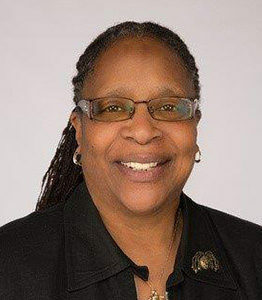 She later worked as Career Placement Advisor, Coordinator of Tutorial Services, Learning Disabilities Specialist, and Assistant Director of Student Services for HEOP at LIU Post. Dr. Elfe was an Affirmative Action Officer for CUNY, where she did diversity training with students and faculty. Previously at FSC she was director of Trio: Student Support Services, and adjunct professor at LIEOC. She teaches at the Metropolitan Detention Center. She is co-author of Raising Scholars From Infancy to Adulthood: Demolishing the Prison Walls, and this year will publish a children’s book on diversity and a book of poetry.